This inspiring collection of 65 essays, selected from over 400 by former Courier-Journal Book and Opinion Page Editor Keith Runyon, offers a decade's worth of wisdom and insights shared by Rev. Alfred R. Shands III with members of his "moving parish" — St. Clements "House Church" in Louisville, Kentucky. 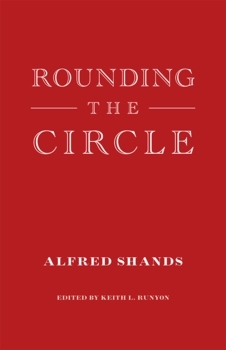 In these essays, Shands shares wisdom, observations and insights about faith, the arts, politics, current events and many other subjects, and reflects on the many challenges and wonders — both large and small, globally and in our own backyard — that the world offers. His rich and eclectic readings provide us "markers along the path" as we journey along life's circular path to our personal center. Alfred R. Shands, III, has made a lifetime career of pastoring slightly offbeat venues in the Episcopal Church. In the 1950s, he wrote a small book about church renewal that was widely disseminated in England and the United States. In the 1960s, he was in Washington, D.C., where he founded an Episcopal church whose congregation spent its best years worshipping in Hogate�s seafood restaurant. In the 1970s, he became producer of documentary films for WAVE-TV in Louisville, Kentucky, and won a Peabody Award. Over the past quarter-century, he has been a nationally known collector of contemporary art. For more than 30 years, he was vicar of St. Clement�s, a house church congregation in Louisville, and he retired a decade ago as vicar of St. John�s Chapel, a summer congregation in Harbor Springs, Michigan.